The most important event of the year for us was the award, given to the lead developer of HSK VedaPulse™ PhD Oleg V. Sorokin. He was awarded in the Veda Brahma Award category, which is given to scientists for outstanding inventions and important contribution to the development of Ayurveda. 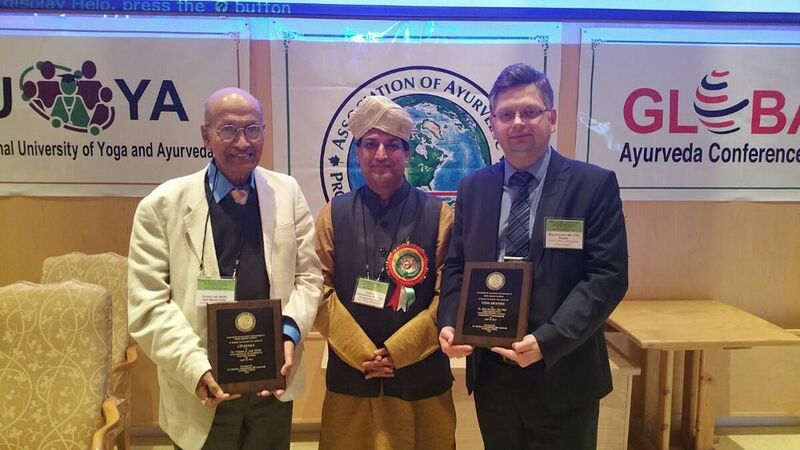 Oleg became the first scientist to win this award for the past 5 years and the first person from Russia to receive an award from the Association of Ayurvedic Professionals of North America (AAPNA). 2017 is nearly over, and VedaPulse is stacking up Christmas gifts for the users and those, who are planning to become one. 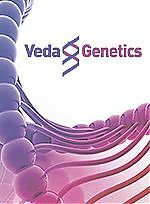 Free Webinar by Dr. Robert Schneider: "Mental Health and Aging"
Dr. Oleg Sorokin, leading developer of the VedaPulse™ system, returned from the 21st International Conference “Ayurveda&Psychology”, which was held at the Maharishi University of Management, Fairfield, Iowa, USA. He took part in the Conference at the invitation of the President of the Association of Ayurvedic Professionals of North America, Dr. Shekhar Annambhotla. The subject of the Dr. Sorokin’s lecture was “Heart Rate Variability – the Next Step in the Development of Pulse Analysis”, in which basal algorithms of HRV that allow detecting pathological state of Doshas were described. We are going to tell about most interesting lectures, which anticipate main directions of Ayurveda and medicine of the future. Leading developer of VedaPulse® is honored with a highest award – Veda Brahma! 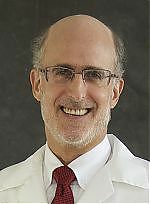 Annually, Association of Ayurvedic Professionals of North America (www.aapna.org) awards the best scientists, doctors and social activists, who significantly contribute to the development of Ayurveda in the world. 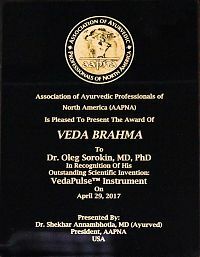 This year, the award went to several people and one of them is the Managing Director of National Ayurvedic Medical Association of Russia, developer of VedaPulse® - Dr. Oleg Sorokin (MD, PhD, specialist in the field of Ayurveda, pulse analysis and clinical herbal therapy), who received the award in nomination “Veda Brahma”. “Herbal Therapy”, “Diet Therapy”, “Aromatherapy”, “Supplements” expert modules – formulas have been optimized. Oleg Sorokin came back from Serbia where he gave a seminar on pulse analysis and upon his return in Novosibirsk, he told one more interesting story. It looks like it is becoming a tradition for him – to bring home a story about peculiarities of a local medicine and share new plans.